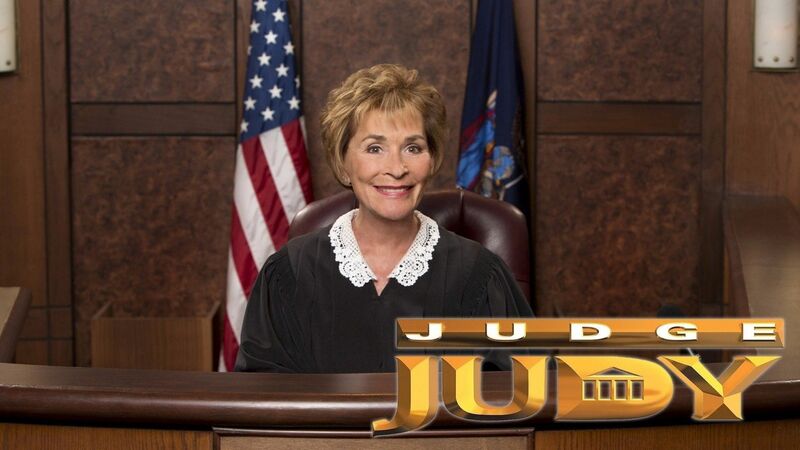 Here's where to watch every episode of Judge Judy season 20. Mouseover or tap an episode to see where to stream it. Click or tap the play icon to stream it on the best available service. Catfight at a Custody Exchange! Sep 14, 2015 A mother and a babysitter dispute in court after an assault takes place at a McDonald's where the babysitter served the mother papers accusing her of abusing her children. Let Me See My Daughter Sep 15, 2015 When unwed parents sue each other, a fake restraining order, a custody battle and unsuitable living conditions for a seven-year-old come into play. Troubled Teens, Computer Fiends? ; 40-Year Age Difference! Sep 16, 2015 A woman presses charges over her computer and blames her niece who is homeschooled while her niece blames her sheltered cousin; while a 22-year-old is sued by her 64-year-old ex boyfriend over the wreck of his car, she maintains her innocence. VIP Limo Loopiness! ; My Dog is a Mini Me! Sep 17, 2015 A limo company owner accuses his ex-driver of being negligent after his $200,000 vehicle is damaged - the ex-employee says his driving record is impeccable; a young woman, with hair coloring similar to her dog’s, affirms her love for her pet but not her intention to repay an ex-lover for vet bills. When You're Hot, You're Hot! ; Hard Times Break-In Sep 18, 2015 Two sisters fight after a casino jackpot and a $100 loan escalates and the ownership of three televisions comes into play; a woman acknowledges that she broke into her apartment after being evicted, but disagrees with her landlord over which door. Honey, I Shrunk Your Pants; Child Support Me Not Sep 21, 2015 A woman is mad about her expensive pants being shrunk, even though it wasn't on purpose, and denies vandalizing a car in response; child support payments become a problem between parents after a teenage girl moves in with her father. Ex-Fiancee Fight! Sep 22, 2015 A woman, who has a restraining order against her ex-fiance, claims that he hit her vehicle with his own automobile, but that she was too afraid to call the police and press charges at that time and is now filing charges against him. Harrowing Dog Attack Drama! ; Jealous Rock-Throwing Rage! Sep 23, 2015 A woman is upset while telling the story of witnessing her dog being brutally attacked by her neighbor's Bulldog; a man is sued for vandalism after he claims he saw another man's truck in his girlfriend's driveway and scatters rocks all over his car. Rent Free for All; Location Scout Harassment?! Sep 24, 2015 A woman living rent-free accuses the homeowner of renting rooms illegally and having her falsely arrested; an intern accuses a location scout of sexually harassing him. Hotel Room Destruction! ; Rent-A-Church Sep 25, 2015 A woman sues her ex for causing hotel-room damage while throwing a temper tantrum; a former tenant sues a landlord for the return of rent and a security deposit. Mocked After Being Attacked?! ; Girlfriend Causes Heart Failure?! Sep 28, 2015 A woman, who was going for a stroll around the block, claims that her walk was interrupted when a dog attacked her and the owner mocked her; a man alleges that his ex took his car and damaged it, causing him to have another heart attack. Judge Judy 101! ; Lovers Too Soon?! Sep 29, 2015 Judge Judy has to step in and remind a couple, who are fighting over who has what in their joint bank account, of her three courtroom rules; a rashly planned trip to Italy ends in two people fighting over the amount of money spent on plane tickets. $14,000 Out the Window?! ; Show Me the Bail Money! Sep 30, 2015 A woman alleges that, after spending thousands of dollars on a home she didn't own, she was evicted by her landlord; a man says that his ex-best friend kept the refund money, that didn't belong to him, after bailing him out of jail. Why Own a Pit Bull? ; Mother's Day Car Bashing! Oct 1, 2015 A man defends his pit bull's attack on a smaller dog; a woman who crashed into her neighbor's parked car says she blacked out and has no memory of it. Mormon Good Will Hunting; Family No More! Oct 2, 2015 A woman sues for illegal eviction and for the value of her things after a church helps her pay for shelter and she is in turn evicted; a man presses charges against his sister-in-law for unpaid rent and a loan for furniture. Troubled Teens' Crash Pad! ; Pit Bull Breakout! Oct 5, 2015 A woman, who tries to be a good person by opening her home to trouble teens, claims one of them stole her car and jewelry; dog owners fight after a Pit Bull mix breaks through a fence to attack a Blue Heeler that was leashed. Ditched and Drunk? ; Tax Woes Kill A Friendship! Oct 6, 2015 A man denies breaking his ex-lover's phone and stealing her purse before leaving her at a gas station, while she acted confrontational and intoxicated; a couple's friends want their money back after they help them with a tax problem. The Black Eye Whodunit?! Oct 7, 2015 After two women, who live in the same neighborhood, have an argument that breaks out into a physical fight, Judge Judy has to figure out how the injuries occurred after both women claim that they did not lay a finger on the other one. Therapy Dog Defender! ; Family Fraud?! ; Believe It or Not? Oct 8, 2015 A woman says her dog defended her from an unleashed pit bull and took the brunt of a vicious attack; a woman sues her daughter for stealing her identity; a woman says she paid her ex-lover's hefty mortgage with cash. Dirty Hands Dilemma! ; Stop Stabbing My Vicious Dog! Oct 9, 2015 An eviction battle turns into a lesson from Judge Judy, who tells both parties not to come into her courtroom unless their hands are clean; a Pit Bull's owner claims a person was stabbing his dog after it attacked another animal at a park. Payback Break-In?! ; Grandmother's Meddling! Oct 12, 2015 A man claims his ex-girlfriend broke into his house in order to steal his stuff, while she says it's all her things; a grandmother is upset at the father of her grandchildren because they were wearing clothing she did not purchase for them. Dog Mauling Caught on Tape! ; Cruising Online Crush! Oct 13, 2015 Video evidence shows a Terrier being harmed and then killed by another dog; two people who met online on a dating site are upset and arguing because an enchanting cruise that was supposed to happen never did due to affairs. Casanova Stallion; Heated Horses on the Loose! Oct 14, 2015 A Stallion is accused of jumping a fence, forcing mares back to his place and then impregnating them - horse owner demands that the Stallion be castrated and that she be compensated for her mare’s medical expenses and boarding fees. Wedding Planner Nightmare! Oct 15, 2015 Young newlyweds air a list of grievances against their wedding planner, who says their expectations exceeded their budget. Hair Relaxing Fallout! ; Bulldog Buddies No More! Oct 16, 2015 A hairdresser claims a woman, who is accusing him of causing her hair to fall out after a treatment, ruined her own hair due to her attempts at dying it herself; a woman returns her friend's dog after three years and demands payment. Suicide Shocker Oct 19, 2015 A man, whose son has taken his own life, uses a horrible picture of the young man's suicide in an attempt to use it in opposition of his previous daughter-in-law, whom he is pressing charges against for loans and property damage. Liquor License Losers? Oct 20, 2015 While the defendant claims he by no means promised that the business partners would get the outcome they wanted, they are upset because they say the defendant was their consultant who was supposed to get them a liquor license. Funeral, Fighting and Drug Abuse?! Oct 21, 2015 Three siblings, who lost their mother, argue over who has what rights to her estate and life insurance, while also fighting over who is responsible for the cost of the funeral. Two Tons of Yard Garbage?! ; Scary Homeless Friends? Oct 22, 2015 A landlord forgets to bring proof of the massive amount of trash he says was left in his front yard; a woman cites her ex-roommate's "dangerous friends" as one of the reasons she had to move out. Unsafe and Sorry Roommate?! ; Angry Father of the Bride Oct 23, 2015 A landlord lists multiple reasons why he asked his previous roommate to move out, including leaving fans on and doors open; a couple presses charges against a wedding DJ in order for their deposit to be returned to them. Exotic Chandelier Scam? ; Criminal Car Sale?! Oct 26, 2015 While an artist-for-hire claims he is trying to get out of paying for a job, the diamond importer says he damaged his expensive chandelier; a woman claims a man conned her into buying a car without a title and presses charges against him for fraud. Tortoise Resort Fail; Puppy Buyer Remorse Oct 27, 2015 A woman, who has 38 pets, pays a man to build her a place for her tortoises, but claims she spent $5,000 and he didn't even do the job; an older man says the full grown Pekinese he purchased at a dog show is wild when it's home. Jealous Vigilante Justice? ; Disabled Mom, Disobedient Daughter? Oct 28, 2015 A man claims his ex-girlfriend became angry when he cut her off and ruined his vehicle by damaging his gas tank; a daughter claims her mother kicked her out illegally because she doesn't like her boyfriend coming over to spend the night. Chased and Beaten by Neighbors?! Oct 29, 2015 A woman says a dog's owners beat her up after she pepper-sprayed their dog - and them. Small Dog vs. Smaller Baby! Oct 29, 2015 Former friends fight over custody of a dog after a baby is born, and a restraining order comes into play. Child Slams Into Car! ; Truck Driving Mama's Boy? Oct 30, 2015 A young boy unintentionally runs into a pizza delivery driver's car while he is running around in the street playing; a man says he asked his new girlfriend for money to enroll in truck-driving school and for living expenses after he lost at a casino. Mother-Daughter Custody Fight! ; Sellout Crowd Scam? Oct 30, 2015 A woman agrees to receive help from her mother, who just got a big settlement for a disability, in order to not lose custody of her daughter; people who used to be friends argue over who owns the tickets of a crowded concert. Nosy Neighbor Defames Pastor?! ; Money Order Thief?! Nov 2, 2015 A salon owner is upset that the church next door causes her parking lot to be crowded, so she tells police that they deal drugs and they lose summer funding; a man is charged with illegally cashing a lost money order, though he claims it's not true. Drug Addict Beats Boyfriend? ; Uninsured Menace! Nov 2, 2015 A woman causes her ex-boyfriend to spend two nights in jail after she claims he hit her, however he says she assaulted him first and was on drugs; a woman had the right of way, but was hit by a driver who was uninsured and ran a stop sign. Troubled Teen, Fighting Fathers! Nov 3, 2015 A truant teenager in high school causes her parents to fight as she is passed between her mother and father's houses, and they argue over who needs to discipline her more and a cell phone that was ruined comes into play. Nice Guy or Nasty Drunk?! ; Car Rental Racket! Nov 3, 2015 While a man says he was assaulted by another customer, another claims he was aggressive and bothering women in a bar; a man accuses his ex-friend of stealing his rental car and wrecking it, while she claims he rented it for her. The Good Samaritan of Kitchens; Big Time Buyer's Remorse Nov 4, 2015 A man claims he was being kind to his landlord when he ripped out all of her kitchen appliances right before he moved out; a woman presses charges against her sister's ex-boyfriend because she claims he owes her money for a paid car. No Job...No Car! ; Roommate Retaliation Party? Nov 4, 2015 A woman who is fired and loses financing on her car presses charges against the car dealer for the money she paid on the car; a landlord wants to evict a tenant, while thin walls and loud neighbors come into play. Out of Control Pet! ; Sideswiped in the Night Nov 5, 2015 A woman confesses that her little dog was not on a leash when it was hurt and nearly killed by a neighbor's large dog; victims of a hit and run press charges against a motorist with damages consistent with their ruined car. Native American Reunion Fail! ; Chihuahua Amputee Nov 5, 2015 A reunion between family members, which resulted from a genealogy search, ends with the family going into business together and arguing over money and fraud; a Rottweiler attacks a Chihuahua and spits out its paw, but the owner denies any guilt. Truth Has Its Day In Court! ; Hijacked Rental Car, Stolen Cash? Nov 6, 2015 A woman with a violent past claims that another woman, to whom she forgot to give back money for an earlier crime, harassed her; a woman presses charges against an ex-friend for hurting her rental car, while the friend claims she stole from ticket sales. Lovers or Roommates? ; Dangerous Biker Boy Nov 6, 2015 A couple who used to be happy deals with a contentious living situation, where allegations of theft, assault and stolen property come into play; a neighbor claims they saw a little boy crash into a parked car and the mom says it's not true. Sisters, Funerals and Guns! ; Ex-Lovers Laptop Fight! Nov 9, 2015 While her sister claims that she broke in and stole her possessions, a woman maintains that her nephew shot her in the head with a BB gun; a man says that he wanted to help his ex by purchasing him a computer, which his ex maintains was a gift. Friends with Partial Benefits; Chill Dog Wreaks Havoc! Nov 9, 2015 A landlord claims his tenant was abusing drugs, while the tenant says he grabbed her and smashed her television to the ground; a teenager maintains that her friend's service dog went crazy and ruined thousands of dollars of her property. 1,000 Beer Bottles Clean-Up?! Nov 10, 2015 Horrible stories are shared of a home that was ruined by a woman who is suing her nephew for damages to a house she rented to him, but while she claims he wrecked her home, he maintains that the accounts she tells are not true. Extravagant Beach Wedding Fail! ; Brother Sister Skirmish! Nov 10, 2015 A woman plans a wedding for thousands of dollars, but finds out that her fiancee has a ton of debt and then he dumps her over a text message; a man claims that the drawings his children drew on his sister's walls should be prized. Meth Mechanic Slander! ; Safe Deer...Injured Car! Nov 11, 2015 A customer who is unhappy with her mechanic says he does drugs and phones children's services on him, while he denies her claims; a man's boss sues his worker for damages to a company car after he swerved to miss a deer. Wedding Planner Rip-Off?! ; Fatal Dog Walk?! Nov 11, 2015 A couple claims their wedding planner did a horrible job and ruined their wedding by stealing their flowers and asking guests to assist in setting up the event; an owner claims his 12-year-old dog walker injured his pet. Online Scammer?! ; Music Blaring Recklessness?! ; Baby Daddy Drama! Nov 12, 2015 A man is accused of defrauding a man regarding the sale of a truck over eBay; a man claims he didn't back into a woman's car, while she says he pleaded with her not to phone the cops; a landlord maintains a tenant's boyfriend is verbally abusive. My Neighbor Tackled Me! ; Spiteful Car Ownership! Nov 12, 2015 Neighbors argue and claims of an assault, death threats towards pets, and a fight over property lines are discussed; a woman doesn't want to give her ex-lover, who wrecked a vehicle, the car title after $4,000 in damages and impound fees. Don't Show Up Drunk! ; Mutual Combat Cruise?! Nov 13, 2015 A woman claims the father of her children damaged her truck after she kicked him out for showing up late and drunk to babysit their kids; people who used to be friends argue over a cruise where supposedly a fist fight and choke hold happened. Vengeful Ninja Brick Thrower?! ; Lies, Lawyers and Landlords Nov 13, 2015 A man accuses his ex-girlfriend of taking a brick and smashing it into his car windshield after he claims he saw her running away from the scene; a couple maintains their landlord broke the lease and forced them out of their master bedroom. Drugs, Arrests and Gas Poisoning?! Nov 16, 2015 When an ex-couple and a landlord argue, dangerous gas emissions, a history of drug abuse and vandalism are all brought up. Bat Girl Goes Bonkers?! ; Separation and the Single Mother Nov 16, 2015 A man maintains that a woman beat him with a bat in the middle of the night because he took money from a friend, who had recently passed away; a single mother says a purse was left on her doorstep filled with money, but a friend says it was a loan. Horrifying Dog Death! ; Bad Driver Caught on Tape! Nov 17, 2015 After a dog is run over by a truck on an icy road, neighbors feud over liability; despite video evidence, a driver denies being responsible for damages from a parking-lot accident. Don't Be a Bum Magnet! ; When Doors Attack! Nov 17, 2015 A woman lends money to a handsome young man she met on Facebook; an old door falls on a car. Ex-Lover Caught Lying! ; Get Out of Jail Rent Free! Nov 18, 2015 A man's ex-girlfriend sues for property, while he lacks the ability to produce evidence of a Jeep sale and his story is inconsistent; a woman sues her daughter's boyfriend, who was just released from prison, for unpaid rent and damages to her car. Front Porch from Hell! ; Unfit for Each Other Roommates! Nov 18, 2015 While the contractor claims a woman kicked him off her property, the woman maintains that her front porch he built for $8,000 is horrible; a tenant says the only thing she did to her room was paint it beige, while the landlord claims she trashed it. Don't Pee and Post! ; Peace, Love and Broke-Down Bus! Nov 19, 2015 Three men are sued for damages after they admit to vandalizing a Confederate flag and then post pictures of their exploits on the internet; a man says his two female travel partners put gasoline in a diesel engine and destroyed the vehicle. World's Worst Healthcare Aid?! ; Hostile, Loud and Annoying?! Nov 19, 2015 A woman sues a man for not paying her after she allegedly worked for him for four hours and was fired shortly after, despite being hired with no experience; a woman claims a tenant was different once he moved in and was impossible to live with. The Tattle Tale and the Ex-Convict?! ; Flooding and Fleeing! Nov 20, 2015 A woman's cousin-in-law allegedly spread rumors about her, assaulted her and took a necklace from her; a woman claims her uncle destroyed her stuff, while she admits that she ran when the home she was looking over suffered water damage. Say Yes to the Shoddy Dress?! ; Consignment Nightmare! Nov 20, 2015 A teenager claims a clothing designer did not finish her dress and the material was falling off, while the designer says she hurried to deliver the dress; a woman says a consignment dealer sold her new designer items on the internet. Luxury Car Lemon?! ; Austin Freebie! ; Grandma the Car Thief?! Nov 23, 2015 A car's owner says a mechanic's repair work only made matters worse; an ex-girlfriend admits to using the plane ticket a man gave her; a daughter says her mother illegally repossessed her car. Fairytale Pit Bull Story! ; 30-Year Friendship Fail! Nov 23, 2015 The teen owner of nine pit bulls tells an unbelievable story to defend himself against charges that his animals attacked another dog; longtime friends regret lending money to each other. Truck Takes Out House! ; Jealous Roommate Rage?! Nov 24, 2015 A motorist admits to driving her truck into her rental home, causing a wall to fall down; a girlfriend's roommate says a platonic friendship led to her eviction. Pro Squatters vs. Slumlords? Nov 24, 2015 Landlords accuse former tenants of squatting and owing for rent, then the tenants sue for water damage. Horse Abuse?! ; Terrier Mauled by a Bear?! Nov 25, 2015 A member of a riding club accuses the woman who boarded her horses of starving them and leaving them in harm’s way during a tornado; when a Boston Terrier is allegedly attacked by a a neighbor’s large dogs, the dogs’ owner blames a bear for the damages. The Case of the Stolen Bulldogs? Nov 25, 2015 When a woman accuses a couple of stealing her dogs, death threats, animal abuse and retaliation come into play. 10-Year-Old Car Thief! ; Motorcycle Enthusiasts Clash! Nov 30, 2015 In the middle of the night, a young boy steals car keys and goes on a joy ride that ends in a crash that flips the SUV he was driving and hits three other cars; a woman claims her motorcycle was illegally repossessed; the woman who sold it to her claims she lied about who was riding it. Muzzle Mishap Leads to Attack?! ; Fix It Ticket Blues! Dec 1, 2015 A pet owner who claims it was too difficult to muzzle his friend’s dog because his hand was injured by a rattlesnake bite is sued for another dog’s injuries; while borrowing a friend’s car, a woman gets a ticket for a broken tail light and expects her friend to pay for it, the Judge sets her straight. Retaliation Fireworks?! Transgender Ex-Convict Wardrobe Malfunction?! Don’t Start at the Beginning! Dec 2, 2015 A woman says her partying neighbor shot off fireworks that hit her house and damaged her roof; she claims he may have been out to get her; a woman sues her estranged sister-in-law for the cost of clothes she purchased for her brother; when a young man wants to tell the entire story of his doomed relationship, the Judge reminds him of her narrative preferences as they relate to her age. Judge Judy Busts a Liar! Horse Repo! Dec 3, 2015 When two motorists collide at an intersection, both claim they have insurance; when the Judge makes a phone call, she discovers the truth; a teenager accuses former friends of stealing her horse then turning around and selling it for $100. Death Divides a Family! Baby Daddy Drama Dec 4, 2015 A mother and her teenage son fight with the pastor who cared for their recently deceased family member over custody of a television set; a woman accuses the father of her 20-year-old son of owing for his medical bills. Hong Kong Freak-out?! ; Pit Bull Arm Chomp! Dec 7, 2015 A make-up artist’s trip to Hong Kong is shrouded in suspicions of drug use, rehab and sneaky surveillance when an ex-roommates call it quits; a woman shields her young niece from a Pit Bull’s vicious attack but suffers 13 stitches, staples and surgery in the process. 10-Year-Old Skater Vandal?! ; Judge Judy’s Exclusive Pez Dispenser Story! Dec 9, 2015 A young boy’s story changes when he takes the stand after being accused of damaging a neighbor’s garage door with his skateboard; the Judge shares a personal story about the founding of EBay, when a Pez dispenser collector sues a man for substandard work. When Bed Bugs Bite! ; Dying Son, Deadbeat Dad? Dec 10, 2015 A woman sues her ex-tenants for letting a beg bug infestation run rampant by not having the exterminator visit on a regular basis; a man neglects to pay in full for a plane ticket to see his dying son; when the young man recovers, his ex-wife demands payback for the airfare. Drinks, Baseball and a Bailout! ; Sibling Squatter? Dec 11, 2015 Ex-lovers fight over an unpaid loan to purchase a car after a night of drinking ends with a DUI, a bailout and accusations of excessive nagging; parents of five children sue a relative for allegedly skipping out on rent and for hoarding trash in their home. Pregnant Cow Cover-Up?! ; The Disappearing Tax Refund! Dec 14, 2015 A woman says her cow is growing a tree in its nasal cavity so she bought a supposedly pregnant cow who wasn't pregnant; an ex-girlfriend spends a man's son's tax refund. God Weighs In on Truck Dispute?! ; Ex-Lovers Leftovers; BBQ Balancing Act! Dec 15, 2015 A man says he stopped making payments on a truck because God told the seller to make it a gift; a woman sues her ex for property she left behind when she moved out of his home; restaurant owners fight over the balance on a pricey grill. Teen Vandalizes Grandma's Car?! ; Father Son Drug Drama! Dec 16, 2015 A teen is accused of stealing from his grandmother and keying her car; a man accuses his father of taking money he needed to pay for medication. Tree Root Ruckus! ; Too Drunk to Remember?! Dec 17, 2015 Neighbors fight over damages when an old tree's roots buckle a paved driveway placed over them; a woman scoffs at the idea that she was too drunk to remember her roommate's news. Fight at the Dealership! ; WW2 Guns, Ex-Wives and a Chop Saw! Dec 18, 2015 A woman says her ex assaulted her after they were thrown out of a car dealership for fighting over a co-signed loan; a man says the friend who took him in ended up stealing his possessions. Best Man Limo Disaster! ; Black Lab Leftovers Jan 4, 2016 A bachelor party allegedly ends with a damaged limo; a breeder denies owing a refund for a returned puppy. Headlock Truck Fight! ; Drive-Through of Shame! Jan 5, 2016 A man claims he suffered a scratched cornea after his ex-friend allegedly attacked him; a man sues an estranged relative for crashing into his car in the driveway. Little Dog vs. Little Brat?! ; DJ Disappearing Act! Jan 6, 2016 A man sues a dog's owner for his son's medical bills; newlyweds sue a DJ for not showing up to their wedding. Collision Caught on Tape! ; Show Car Craziness! Jan 7, 2016 Motorists argue over who caused a collision; an alleged drunk woman on a motorized scooter crashes into a 1983 DeLorean. Child Abusing Animals?! ; Family Fiasco! Jan 8, 2016 A woman sues her neighbor for vet bills after 9-year-old son kicked her dog in the head; a couple sue their 21-year-old son for damaging their home and car. Females, Filth and Liquor?! ; Trucker's Sin of Omission! Jan 11, 2016 College students are accused of trashing their rental home, but they deny all charges and demand their security deposit back; a married man's lover sues him for repayment of the loan that sent him to trucking school. Fight of the Goonies' Fanatics; Teen Flies off the Handle! Jan 12, 2016 A road trip ends with sisters fighting over rent and missing property; a teen is accused of pulling the door handle off her friend's car and throwing it in his face. Restraining Order Scam? ; Cologne Loan or Theft?! ; Teenage Attention Span Fail! Jan 13, 2016 A woman claims her ex-boyfriend told her he would drop a lawsuit against her if she would drop her order of protection against him; ex-lovers fight over expensive items; a teenage motorist confesses that she is at fault for a car accident. Siberian Husky Custody Fight! ; Jail Time Payback! Jan 14, 2016 A teenager, after saving over $500 to purchase the pure-bred Husky, fights with his father over who owns the right to sole custody of the animal; a man claims that he paid for six months of rent for his roommate and now wants the money back. Mama Drama! ; Ex-Lover Left in the Dust?! Jan 15, 2016 A woman claims that her son and his wife stole her Chevy Blazer, while he maintains that she talked unfavorably about his business; a woman leaves her ex-boyfriend with an allegedly broken lease when she goes back to her estranged husband. Deadbeat Gambling Baby Daddy?! ; Detained by Immigration Jan 18, 2016 A mother accuses her children's father of gambling away money intended for their food and medication; a defendant claims he was wrongfully detained for two months. Faulty Fiance?! ; Lovers' Playpen Party Pooper! Jan 19, 2016 A woman's fiance ran a red light while driving her car, and wrecked another motorist's vehicle; two elderly people who used to date argue over a loan that was used to pay for food, pampers and a playpen. EBay Transmission Fail? ; Fashion Road Trip! ; Football Meets Windshield! Bowling Alley Boutique Bust! ; Housekeeping Bandit?! ; Great Oak Bites the Dust! Pilfered Belongings? ; Baby Daddy Drama! ; Raging Party, Missing Laptop! Father of Ten Thinks It's Funny! ; Pool Hall Bash! ; Bail Out While Pregnant?! Sleep Number Mattress Thief?! ; Caregiver Rip-Off?! ; Dueling Couples! Gotcha Video! ; Factory Worker Steals Judge's Heart! ; The Last Straw! Car Fight! ; Child Support Goes to College! ; Dangerous Pumpkin Prank! Family Emergency Upset! ; Cancer or No Cancer? Prison Visit Crash! The Truck that Got Away! ; Convicted Felon Takes on Lawyer! Children Fight Deceased Father's Soulmate! ; Email Scam and Slander? Witnesses on the Judge's Watch List! ; Disastrous Crash into House! Tinsel Town Abandonment?! ; Courtroom Kickout! Another Reason Not to Live Together! ; Birthday Punch to the Face?! Breaking Down Barriers! ; Get A Job! Baseball Bat Rage! ; Suspicious Sublease? ; President Obama Dancing?! Bait Shop Sign Slam! ; Flirting and House Painting? ; Pills, Horses and Gambling?! Cruising Boyfriend! ; Robbed While Serving Time?! ; No Title, No Car! The Pregnant Chihuahua Did It! ; Deceased Parents, Feuding Children! Case of the Missing Angel Statue! ; Storage Battles! ; Jealousy-Fueled Breakup?! Pitiful Porch? ; Workman's Comp Chaos! ; Shady Car Deal?! French Bulldog Breeding Battle! ; DUI Meets the Company Credit Card! Vegas Birthday Fail! ; Puppy Takes a Bad Fall! ; Rookie Driver Mistake! Seizure Shakedown! ; Valentine's Day Forgiveness?! Barbershop Brawl! ; Mom Owes Me! Buy High, Sell Low?! ; Stolen and Stripped?! Move Back in With Mom?! ; Unwed Parents and the Stolen Guitar? Bloody Break-In? ; Don't Block My Number!